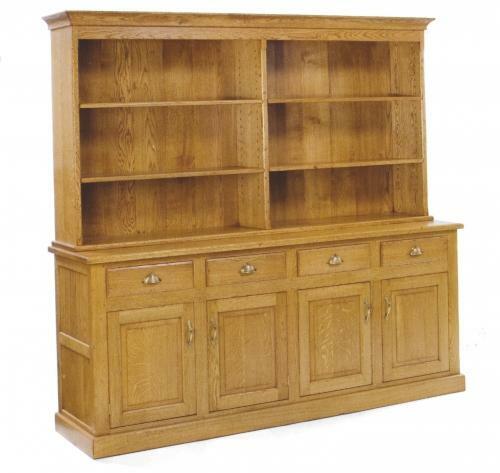 Oak Bookcases filled with literature give a real sence of history to our study rooms, so the need for robust, beautifully crafted oak bookcases is paramount to our interiors and modern living of today. Bookcase usually with closed doors, either solid or glazed can be included to safeguard those treasured titles. Or open bookshelves are available in any size and configuration, all with fully adjustable shelves. Lighting option are also available to create drama and effect.